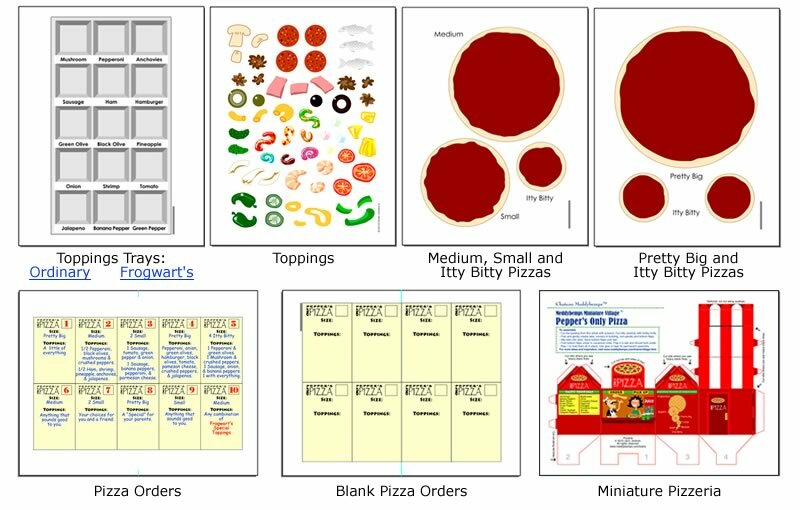 Fix make-believe pizzas at home or in your classroom by printing these pdf files. For best results, print in color on heavy white paper. For additional pizza toppings, print extra copies of Toppings page. Print a Normal Toppings Tray. Print a Frogwart's Toppings Tray. Print Pepper's Only Pizza Pizzeria. Cut and fold to Build. It can be used with other Meddybemps Miniature Village Buildings.